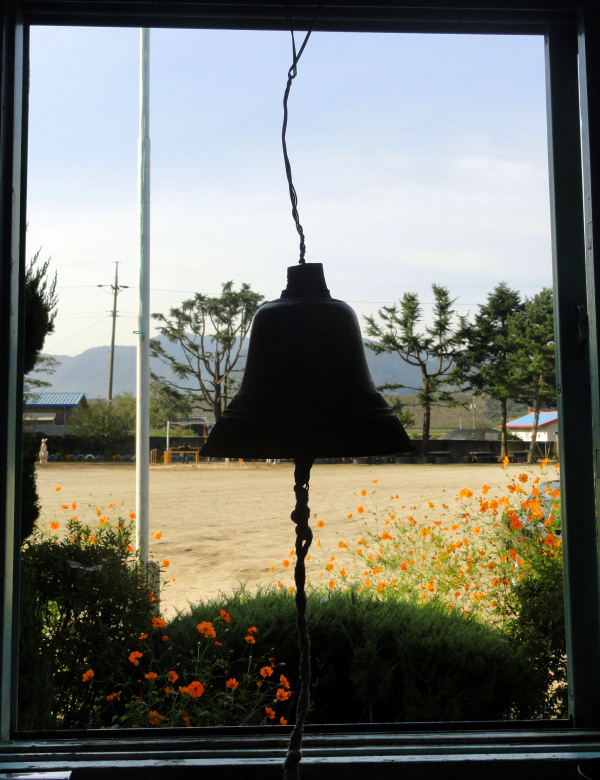 They call it The Bell of Hope. These days, there is nobody left in the remote village who was alive when the disaster happened. However, everyone from the tiniest child to the oldest matriarch seems to remember it, as if it was only yesterday. Eyes widen, faces animate, hands gesticulate. The collective memory is like a fever – hot, rapid, infectious. We outsiders are inclined to disbelief – until The Bell of Hope peals ferociously of its own volition each 21st February at 2.13pm. The exact time at which the sleeping volcano erupted and engulfed the houses clinging to its slopes. Very touching. Collective memory is a powerful thing, as there are so many things that must NOT be forgotten…even if they occurred generations back! I agree. I think I have been influenced by a series I have been watching about World War I recently. Nothing to do with volcanoes, but much to do with loss and remembrance. Ghost bells, ghost trains, ghosts of all sorts fascinate me, darling. Sigh… I got about 3/4 of the way through the list this week and then today I got hit by a terrible migraine. But I saw your story pop up on my reader and knew I had to visit. Well, done, darling. Off to rest now. Yes, they fascinate me too, my dear! Thank you for peering through the rapiers and lightning bolts of a migraine to read my little offering – I do appreciate the honour. Rest well – perhaps the news of a Winter Olympic ice hockey win might revive you later (here’s hoping – I have family who are Canadian!). When I was watching TV recently, I heard a scientist predict that Mt. Aetna will erupt again. He made it sound like the folks living within its reach should begin migrating elsewhere…now! I think I would take heed. I’ve seen the ruins at Pompeii and was impressed by the devastation. With all that’s happening in the environment, erupting volcanoes doesn’t seem far fetched. I agree – there are a number of volcanoes that are dormant, but could erupt at any time. “The collective memory is like a fever – hot, rapid, infectious.” Wonderful sentence. Love the story, Freya. I have to echo Karen in my like of: “The collective memory is like a fever – hot, rapid, infectious.” “Lest we forget” is a phrase that means much to me and you touched on that here. Good story with very descriptive words. I could see it in my mind. People live near volcanoes because the rich soil is great for farming, but they’re taking a chance. As we know, volcanoes can be lethal. It’s amazing what we will risk, isn’t it? I’m glad you enjoyed it! A masterpiece in metaphor. Bravo! I think you told a story of great worth.. collective memory Is so important.. I remember that in the great tsunami of 2004 there were some remote islands where everyone was safe, they knew the signs and fled up in the mountains.. Thank you, Bjorn. Yes, those stories of those who knew the signs, followed their instincts and reached higher ground are in my memory banks too. I wonder – is it because these remote peoples are not overwhelmed by the ‘abundance’ of 21st century living and concerns, that they managed to save themselves and not be distracted by modern living? I think that our senses become dulled by this, unless we work very hard at just being. Easier said than done, of course.